Evening event for Adults and Couples only! Pick the picture your heart desires from the many choices available when you arrive. 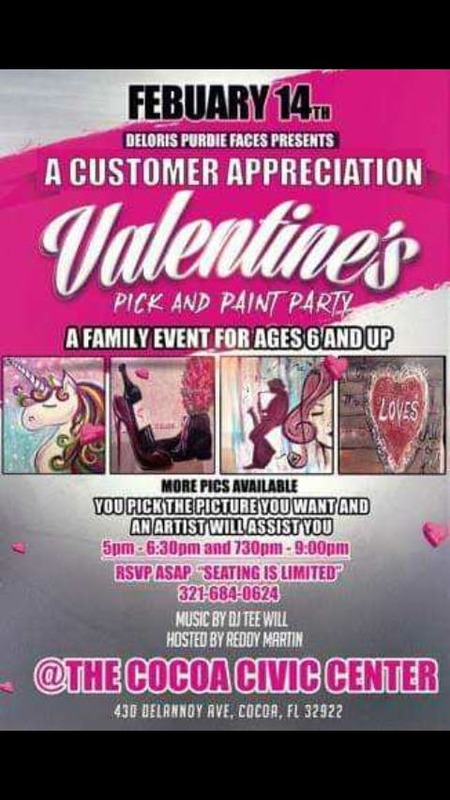 This is a paid event please do not bring any additional guest who have not paid to paint. Come and enjoy live music Dj TWill will get the party going! Hosted by Reddy Martin.